It is the story of Christmas origins, the story of selflessness and sacrifice, yet ultimately, it is about the power of storytelling and the hope it can bring. It is the now forgotten tale of a legendary saint named Nicholas... Nicholas of Myra. 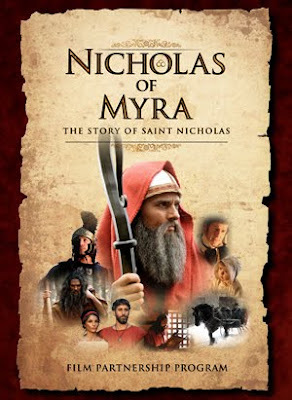 See more at the official site for the film here and see the trailer below, as well as an interview with lead actor of Nicholas of Myra -- Matthew Mesler -- on playing the role of St. Nicholas.